In the first part of this article, which you can find here, we talked about the benefits to buying the best mulch for your garden and why it’s so important for the health of your plants. In this second part, we’re going to talk about the difference between organic and inorganic types of mulch, and which is the best mulch choice for you. Organic, in terms of mulch, means something that is composed of once-living material. This kind of mulch will decompose as time goes on, and in this process, will add important nutrients to your soil. This kind of soil is great for fertilizing, however, if you have any problems with rodents, it isn’t the best mulch choice for you. Here are some common types of organic mulch; see if one of the following is the best mulch for your garden! Compost: Compost is arguably the best way to fertilize your garden because it provides the benefits of acting as a great mulching material while simultaneously providing nutrients for your garden as it decomposes. If you have your own compost heap, then it comes free, making a great contended when picking the best mulch. If you do use this in your garden, it should be applied in a layer between 1 and 3 inches deep. 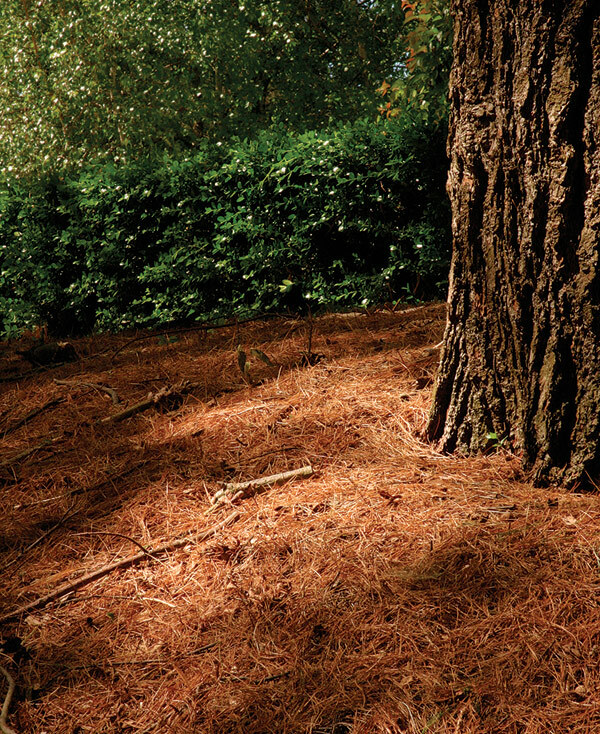 Pine Needles: Choosing this as the best mulch would be a great decision, especially if you have soils and plants that can take high acidity. It’s a cheap method for mulching, and is highly effective in letting water through to the soil. Pine needle mulch is always very aesthetically pleasing, but it takes a long time to decompose. Much less is needed for a layer of pine needles, between 1 and 1 1/2 inches deep. Straw: If keeping weeds out of your garden is a prime concern of yours while picking the best mulch, this may not be the best choice, as the straw may contain weed seeds itself. However, it is the best mulch if you’re looking for great insulation while also allowing for water to reach the soil. A much deeper layer of straw is needed if this is your choice for the best mulch- between 6 and 8 inches. Stone: Using stones for mulch is generally the best appearing method of mulching your garden. It looks great, and is one of the best mulch choices when it comes to insulating your soil. However, it’s a pain to remove, so if you just plan on mulching your garden for the winter months and removing in the spring, stones are not the best mulch choice for you. They also degrade very slowly, so while they may be expensive at first, you won’t have to worry about needed to replenish your mulch very often. These should be applied at a depth of between 2 and 4 inches. Plastic: Using plastic to mulch your garden is more of a convenience choice than an aesthetic choice. It doesn’t decompose, so it won’t add any nutrients to your soil, yet it is excellent for weed control and is virtually effortless to apply. You do need to ensure that the plastic has holes in it so that water can be allowed to drain through to the soil however. A sheet of plastic from 1-6 mm works as the best mulch for this choice. Geotextile: This is definitely one of the costlier options when it comes to picking the best mulch, yet it works great. It’s a large piece of material, similar to a blanket, made of synthetic fiber, and it provides excellent weed control while also giving good penetration for water. It’s almost always paired with a cover mulch to hold it down and give it some extra weight. So What Is the Best Mulch? It’s honestly hard to say what the best mulch is, because as you just read, there are so many different types and benefits to each kind. Depending on what you want your mulch to accomplish will affect your choice when deciding on the best mulch for your garden, but we hope we helped a little bit in the search!